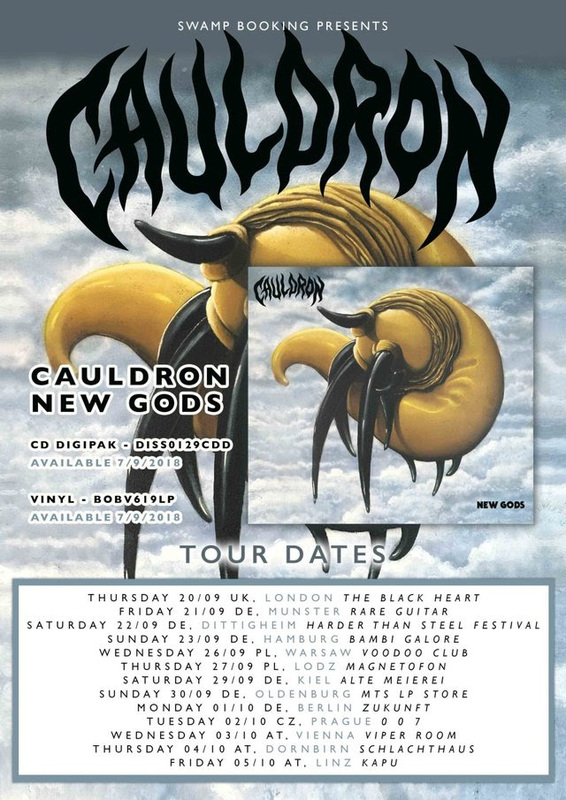 Canadian metal trio CAULDRON will release their long-awaited fifth studio album entitled “New Gods” on September 7 through Dissonance Productions in Europe and. For the follow up to their critically-acclaimed 2016 album “In Ruin”, Jason Decay (lead vocals/bass), Ian Chains (guitar) and Myles Deck (drums) together with producer Chris Stringer (Timber Timbre, Wooden Sky) honed and recorded the songs at Union Sound in Toronto for what would become “New Gods”. “New Gods”, the group’s fifth full-length studio record, once again promises a strong emphasis on songwriting and melody, complete with high-end organic production to match. Born from the ashes of genre-defining, critically-lauded GOAT HORN, the band known for being heavily influenced by Black Sabbath, Venom, and Judas Priest called it a day in 2006, and front man Jason Decay wasted no time in putting together CAULDRON to continue with his heavy metal vision. The band has toured the world with the likes of Municipal Waste, Death Angel, Nevermore, Diamond Head, Enforcer, and in the summer of 2013, were invited to play Metallica’s Orion Fest in Detroit. Burning Fortune was nominated for a Juno award in 2012 while the video for the single “All or Nothing” has received almost 600,000 views on Youtube/Vevo and was featured in the video game RockBand. In January 2016 In Ruin debuted at #1 on the CMJ Loud Rock charts. During the tour the band suffered a near-fatal crash that set them on an indefinite hiatus. 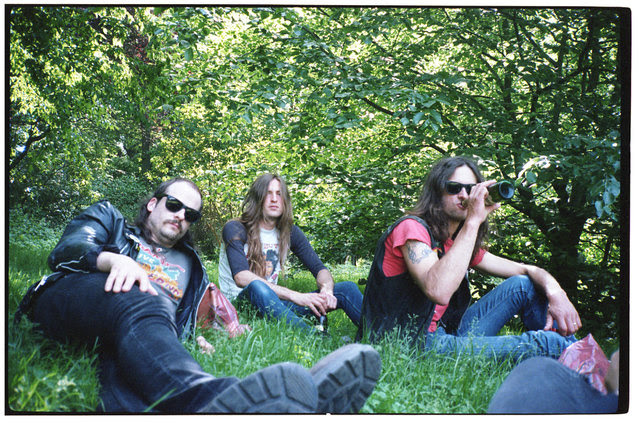 Cauldron bounced back to the stage in October 2016 on a US tour with Satan followed by a European headlining tour in the Spring of 2017. As of 2018, Cauldron will release the follow up to the critically acclaimed “In Ruin” via The End Records (America) and Dissonance Productions (Europe).